The past week saw two lads from a Naas bikeshop nab national mountainbiking titles. 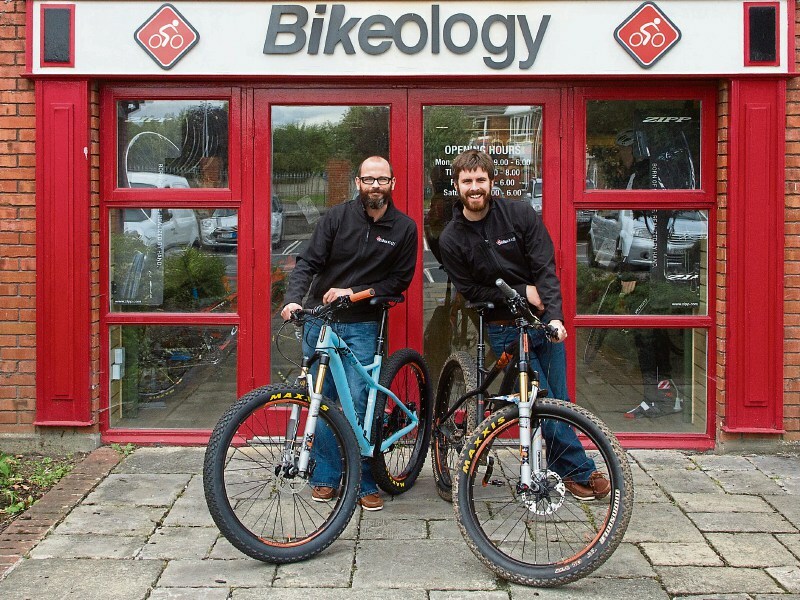 Nigel Glynn, proprietor of Bikeology in Monread is the new national Enduro champion, crowned last Sunday at Djouce mountain, Wicklow in the 30 to 39 age group category. And last Tuesday, Ross Pearson, also a Bikeology stalwart, won the Irish Mountain Bike Racing Club (IMBRC) League after a balls out ride at Slade Valley. Enduro for the uninitiated, is a type of mountain bike racing where where the downhill sections are timed, and the uphills are not. Riders are timed in stages that are primarily downhill, with neutral "transfer" stages in between. Although not timed, the transfer sections usually must be completed within a time-limit, but are not part of the accumulated time. Enduro differs from cross country (XC) racing which usually has more emphasis on cardiovascular fitness and less emphasis on technical ability, and pure downhill racing, which tends to involve little to no cross-country or climbing. Ross Pearson, left, and Nigel Glynn.